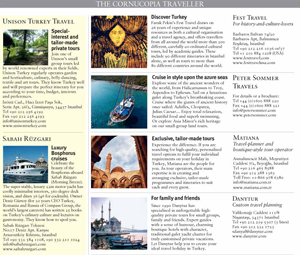 Launched in 1992, Cornucopia is an elegant and accessible journal for connoisseurs of Turkish life and culture. 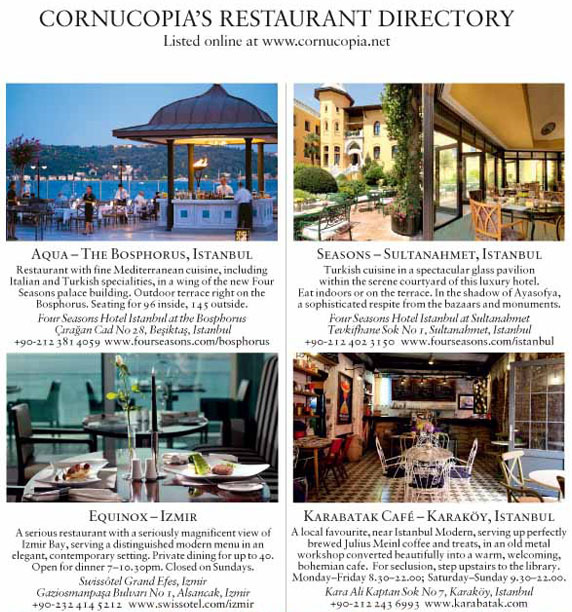 Cornucopia has created a sophisticated environment for top international brands to blend seamlessly with Turkey’s own household names, whether in trading in luxury goods, collectable art and fine carpets and textiles, or culinary delights and exotic destinations. 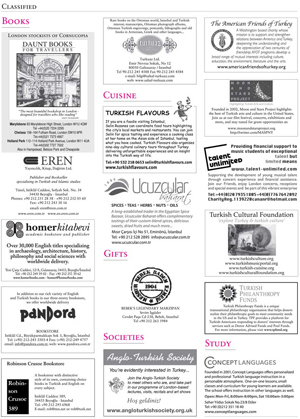 Cornucopia enjoys an unrivalled A+ to B Turkish/international readership. 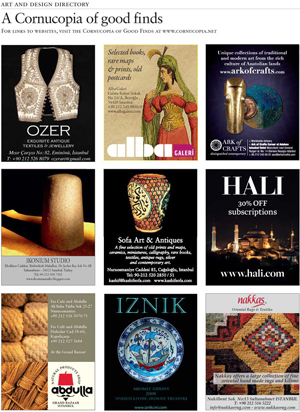 Global business and leisure global travellers jostle bibliophiles and reclusive art collectors for much sought after issues of the magazine. They are people of discernment, who will not hesitate for a moment to spend a thousand pounds or more to plug the gaps in their Cornucopia collection. These are the people who matter to the people who matter. And the magazine is read cover to cover, with a shelf life measured, not in months but decades. A comprehensive analysis of our readership profile, can be found in our media pack. 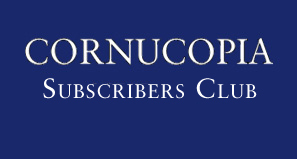 Cornucopia is highly selective in its advertising content. Advertising pages are limited to a maximum 25% of content. Cornucopia is a prestigious showcase for agencies and designers and prefers design to follow the magazine’s style. Advertisers are automatically placed online. Download the media pack here [pdf]. View advertising rates here [pdf].